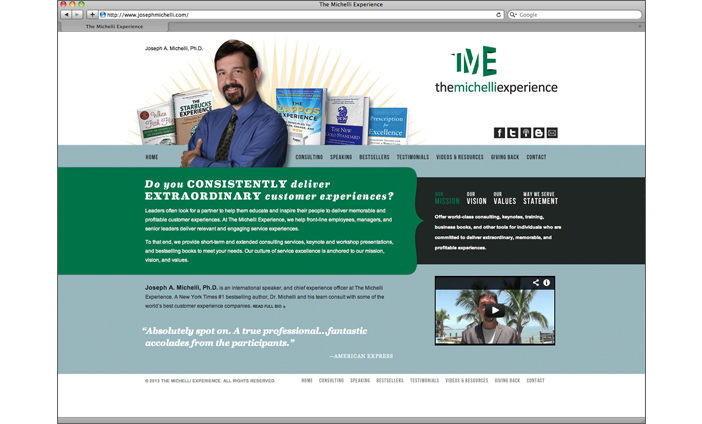 Bestselling author and international speaker on customer service best practices. He wanted to polish his image with a refreshed logo and an updated website presence. The customer is always right.